Last October Phil and I saw Sara Groves in concert. Something she said that evening about having recently turned 40 has been swirling around this head of mine. She said if life was divided into seasons, then she was entering her autumn. If I translate this to: "my life may be half over," then I'm left in shock and wonder how I let this sneak up on me! But when I remind myself that autumn is, in fact, my very favorite season, I can enter into this new decade with a heart full of wonder and celebration. Where we lived in Minnesota, there were mostly deciduous trees and shrubbery around us. During the summer, I felt like I was living right smack-dab in the middle of a giant green bush. Day after day seeing only green was a bit on the boring side, honestly. But then came October! In preparation for a typical long and cold Minnesota winter, everything around me seemed to wake-up, not die. And that huge stretch of green trees and bushes outside my window was now showing off shades of bright orange, yellow and red. Did you know that these colors are a tree's true colors? The green we see is only its food/energy that hide or mask its leaves' true colors. In its preparation for winter, we see a tree's true colors emerge. Last October, autumn served as a beautiful backdrop for what God was going to do in my heart upon turning 40 in July. As I drove around town and soaked in these gorgeous colors, I thought about my 20's and 30's, and how 4 children later, I could say that my "summer years" had been very fruitful years. I have labored and toiled in raising my children--certainly I'm not through yet, but I am starting to reap a sweet harvest of seeing my children know and love Jesus. This is my season to look back and be thankful; thankful for the things God has done in my life; thankful for His faithfulness in rescuing me and my precious family in hard times. I see evidence daily that my youth is fading. 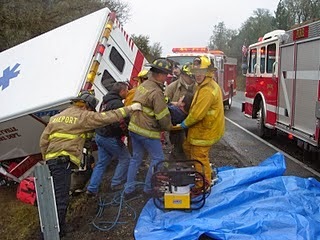 I don't want to lament or grieve this; is it crazy to say that I want to celebrate this? These colors emerging from the green of summer remind me that change is good--even breath-taking! Imagine hiking in the fall and as you come 'round a bend, you see a bright, red maple. Do you gasp? Do you smile? Yes! And I am celebrating each color around every bend and turn in my life. It's all beauty. It's all evidence that Jesus was there during my spring and during my summer. I'm celebrating that His image has been stamped upon my heart and that His presence has filled all of my days and all of my nights. I pray that it is His beauty, His very image, that is emerging from me in this new season. My girls turned 8 today. I'm not entirely sure when this happened, but it did. All 4 of my kids have graduated out of their booster seats. This feels strange to us. The girls are 8 and the boys are 9 and 10. No one in our home is 'little' anymore. At bedtime tonight, Gracie mentioned that I was hugging her this morning right as she turned 8 [at 10:48]. "You hugged me between 7 and 8 years old, Mommy. That's a special memory for me," she said. And when I tucked Lily in, she asked, "Why can't we ask God to start our day over?" I couldn't agree more. It was a perfect day! Phil made them special pancakes for breakfast. 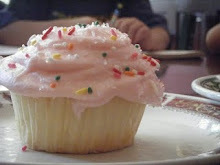 We did our schoolwork, then we headed to the American Girl Store for a little birthday tea party. We ended the day with cake, presents, skype calls, face time and phone calls from many of you who love these girls, too, and helped to make their day so special! After our stop in D.C., we drove up to the Finger Lakes region of Upstate New York to spend a few days on Keuka Lake with Phil's parents. We stopped by Niagara Falls on the way home. School, our weekly Friday homeschool group, AWANA and piano lessons began. 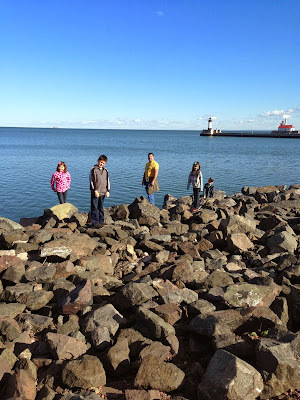 A trip up to Duluth to see the North Shore, the Aerial Lift Bridge and the beautiful fall leaves. 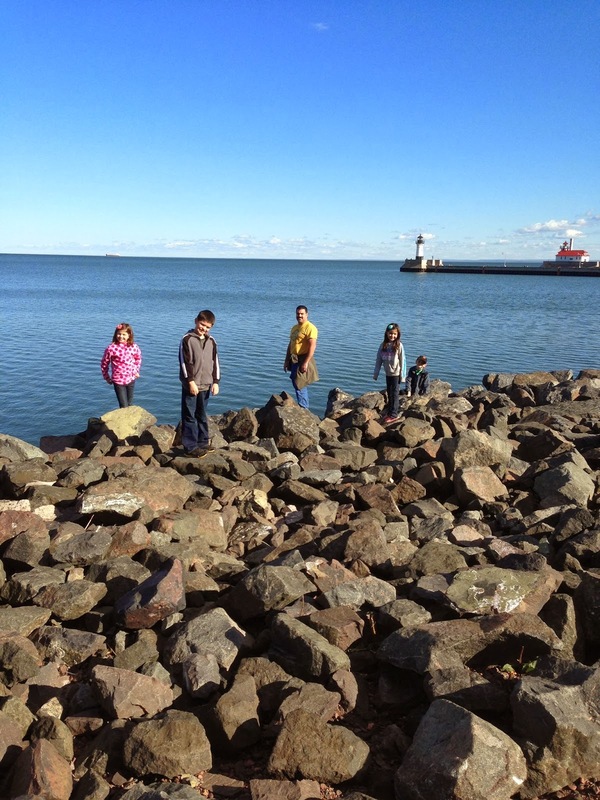 I must say, Duluth is now one of my favorite cities. It's up there with Seattle. Both of my sisters flew out to visit from Alabama and California. We spent a few days exploring Minneapolis and spent the longest time walking around in the cold trying to locate the Mary Tyler Moore statue. Fun! Phil's sister flew out from California to join our family on our road trip down to Kentucky to visit the Creation Museum. This place was amazing! Even more so--our kids were AWESOME, enduring 15 hour days in the car. A fun day touring our State Capitol building and seeing the giant Lego display of the Capitol there in the lobby. We're gearing up for school at our house. This year we'll have two second graders, a fourth grader and a fifth grader! Where has the time gone? I'm excited that we've joined a homeschool group here in the area. It's an a la carte program that allows me to pick and choose classes for my kids. This semester I chose Art, Writing (Institute for Excellence in Writing), Science, and Classical Memory Master. The classes are taught by former or retired teachers. The church where we meet allows parents to check out books and materials from their extensive church library. Our family just got home from a wonderful trip to Washington, DC, and Upstate New York. 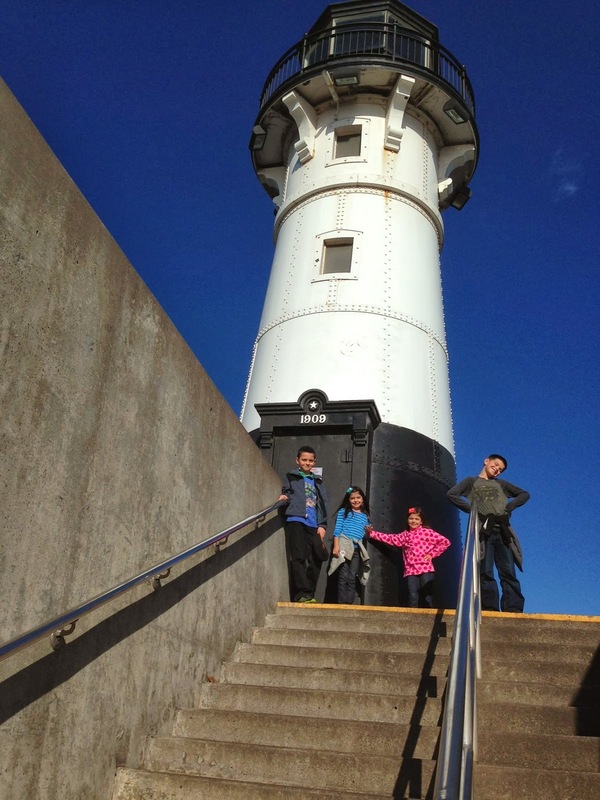 Living here in the Midwest has made it so much easier to travel to all the places we've wanted to take our kids. Nine states in 10 days--awesome!!! My only complaint would have to be all the toll roads. I really, really do NOT like toll roads. We toured the Smithsonian Museums and Galleries, which are all FREE! We gasped when we saw this!!! 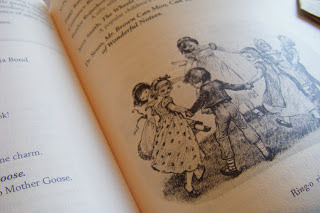 My girls and I have always loved Degas' Dancer sculptures and his paintings of ballerinas. We loved seeing Seurat's pointillism up-close! This is the kitchen of Julia Child. Her real kitchen was moved into the Smithsonian!!! There are so many other things I'd love to share that we weren't allowed to take pictures of like the flag that flew over Ft. McHenry in 1814--our Star Spangled Banner, the Declaration of Independence, the Constitution, and the Magna Carta. So incredible. The kids noticed that we've lived in the 3 states carved right over the doorway. On our way home from DeSmet, we drove through Walnut Grove, MN. We loved visiting Laura's beloved dugout from her book On the Banks of Plum Creek, the museum and visitor center, and eating at Nellie's Cafe. I get choked up every time I think about this...here's the church bell Pa helped to buy at Christmas time with the money he had saved up to buy himself a new pair of boots. Sniff-sniff. Oh, Pa. 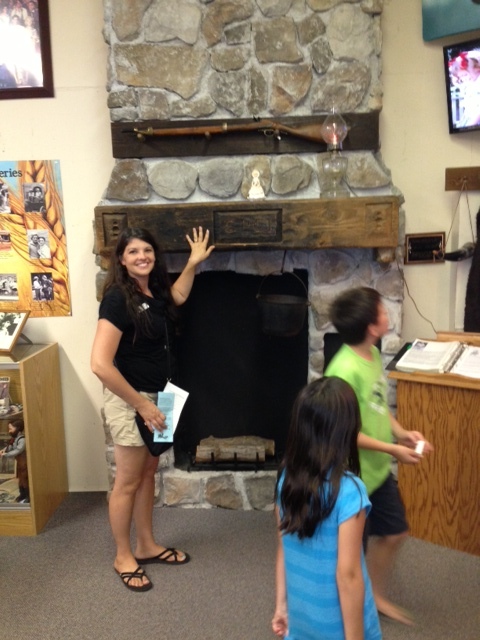 Here I am touching the mantel used in the Little House television series! Wading in Plum Creek, just down the hill from Laura's dugout. She would have followed this same path to play in the creek. The dugout caved in years ago, but its depression remains. We loved standing here imagining the family's ox and how his foot went right though the grass roof into their home. Sadly, but true, this is Silver Lake. It was drained years ago to provide more farmland in the area. And now I get to write about these trees that I obsess about. :) Pa's 5 cottonwood trees. He planted them on the homestead right away for a wind break--one for each member of the family. The reason I love them so much, is that this grove is the one thing man doesn't need to restore, or refurbish in order to preserve its legacy. As we toured many of the original buildings, much had to be done in order to make them safe and meet building codes. Furniture replicas were brought in so we could see things as they would have been. But these trees...these are the trees. One of the highlights of our trip was visiting the Ingalls' Homestead, just outside the town. There were many great activities for the kids, but I was taken by the landscape, its openness, and how the sky changed so many times throughout our day. I loved walking where Laura had once walked. Headed up a hill to an old church. While inside, the kids played church and I sat at the piano and played the hymn, "O God, Our Help in Ages Past." It seemed fitting.